The ARP Centre is a hostel in Catford, South London which provides intermediate support to recovering alcoholics. A dedicated team of support workers assist, offer support and teach life skills to help equip residents for a life of sobriety. The original building, a typical example of a Victorian villa, has been converted and extended into a 10 bedroom split level facility. 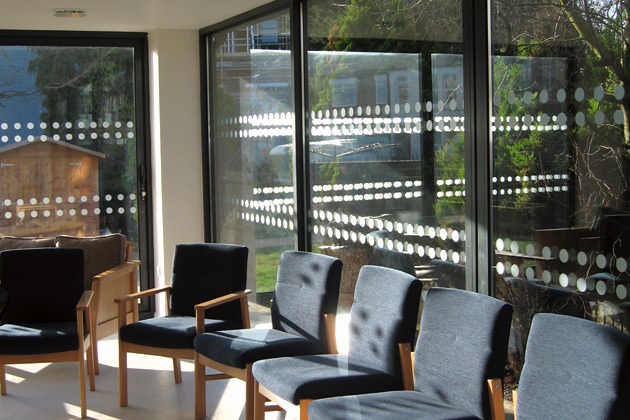 Tuke Manton were commissioned to design and remodel the lower ground floor areas and create a new meeting room/multi purpose room as well as external communal space to accommodate staff and residents. The extension has been designed to maximise space, views and daylight. 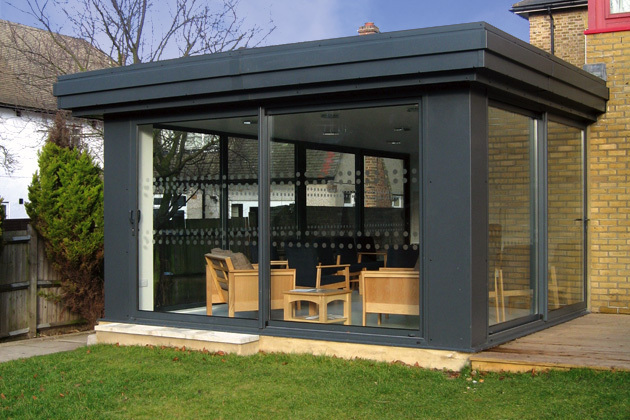 The single storey, steel frame, aluminium ‘glass box’ is naturally ventilated with fully glazed powder coated aluminium framed panels to the perimeter. Along with the remodelling of the lower ground floor an open, light sequence of spaces for residents and staff to congregate both formally or informally has been created. The new landscaping and decked areas transform the garden into an external room helping to tie all the spaces together.